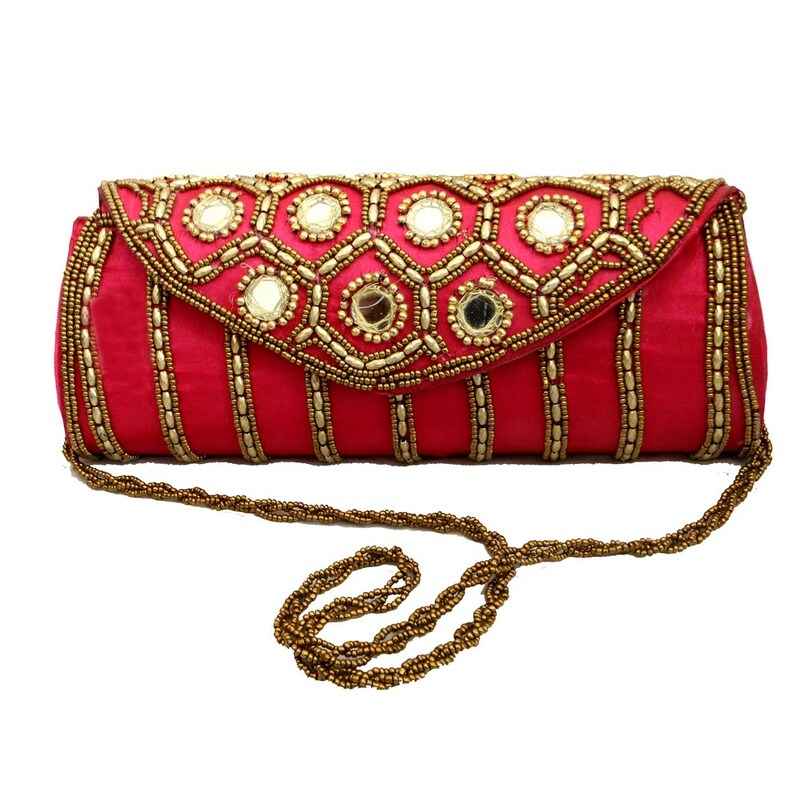 This pink clutch bag is something which any women would love to carry to evening parties. This clutch has been rendered with a golden sling Read More..with striped sequence work all over the body. The clutch has a designer flip opening with sequence and large mirror designs. Show Less..